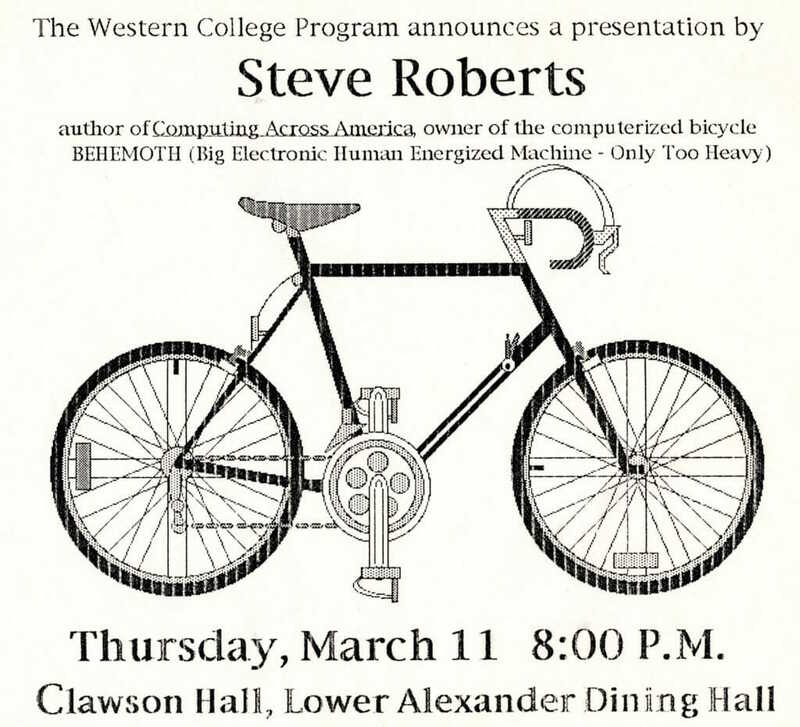 I barely recall the details of this gig in Oxford, Ohio… though that graphic is a bit misleading! I was on an extended tour around the US in the mothership; this was just after the Mobile World Expo in Boston, and a few days later, I was near Chicago, speaking at Motorola. As I traveled, I was picking up sponsorships and schmoozing for lab space for the upcoming Microship project.